Shape memory materials are immensely useful because of their capability to recover their original shapes upon exposure to an external stimulus such as heat, moisture, light or a magnetic field. 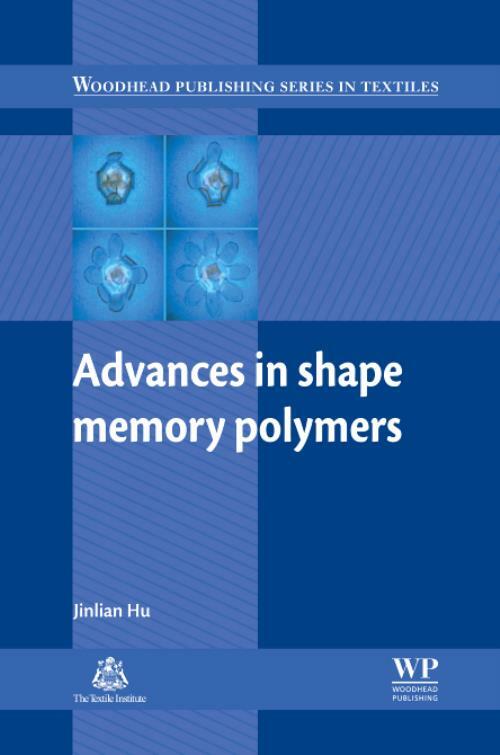 This book reviews key recent research in shape memory polymers, their properties and applications. Topics include the relationship between morphological structures and shape memory properties; high performance Tg and Tm type shape memory polymers; structures of shape memory polymers with supramolecular switches; and the thermally-active and moisture-active shape memory effect of supermolecular shape memory polymers. Advances in shape memory polymers is an essential reference for polymer and textile material students, scientists, designers, engineers and manufacturers. It is also an invaluable guide for professionals in the biomedical, electronics and engineering industries. Hu, JinlianJinlian Hu is a Professor at the Institute of Textiles and Clothing, Hong Kong Polytechnic University. A Fellow of the Textile Institute, she was also the recipient of the 2001 Award for Distinguished Achievement from the US Fiber Society. Professor Hu has published over 300 articles and several books on textile materials. She is currently the Editor-in-Chief of the Research Journal of Textiles and Apparel.